Expressionist brutality and raw emotion manifest themselves in the work of Reuben Kadish, a sculptor, draughtsman, painter and printmaker. The son of parents who had immigrated from Kovno in Czarist Russia (now Lithuania), Kadish was brought up in a Yiddish speaking traditional family. He studied at the Otis Art Institute in Los Angeles together with Philip Guston (Goldstein) and became a WPA artist of the Depression era. 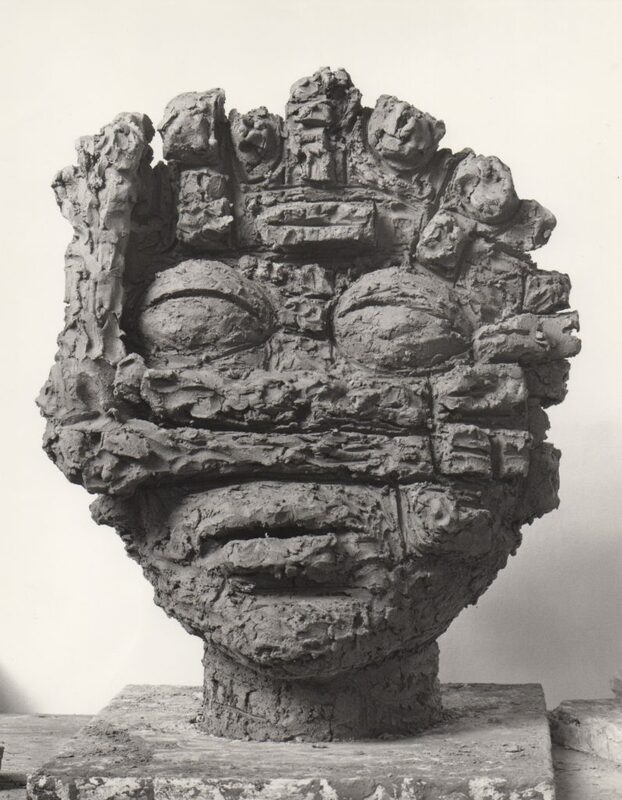 During World War II, Kadish was assigned to document bombed-out villages in Burma and India, those searing experiences resulted in his creating an impressive series of deeply scored terra cotta and bronze sculptures that viscerally reflected his Abstract Expressionist roots. The bronze works in the Sculpture Garden exhibition reflect Reuben Kadish’s ferocious reaction to the horrific events and crimes against humanity that he personally witnessed during the war, as well as his fierce response to the Holocaust and Hiroshima.